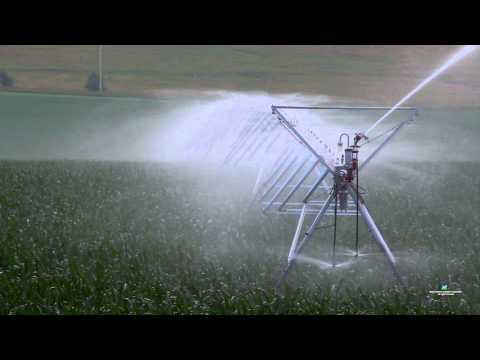 Nelson Irrigation Corporation offers a full range of water application solutions for center pivot irrigation. From control valves, to pivot sprinklers and pressure regulators, to end guns — the package is complete. Efficiency and effectiveness are at the heart of this superior center pivot irrigation package. Built around the foundation of the 3TN or 3NV quick-change nozzle systems, Nelson 3030 Series Pivot Sprinklers provide the best water application solutions for your specific GeoCropical® needs. Choose the Rotator® for ultimate uniformity with the widest throw available on drops. The Rotator® is best in class at getting water in the ground, minimizing conditions that cause runoff and erosion. Nelson Pressure Regulators deliver accurate pressure control in demanding conditions. The patented, single-strut inlet seat provides greater plug resistance than other designs. And, for end guns, look to the Nelson SR75 or SR100 Big Gun® for extended life and trouble-free operation. For system control and end gun operation, specify Nelson 800 or 1000 Series Control Valves.